Unfortunately it appears the genuine black twin pack 100XL has been discontinued. Do these cartridges for the Lexmark Prospect Pro 205 printer model fit the Prospect Pro 208 printer? Thanks. Will Prospect Pro 205 cartridges fit Prospect Pro 208? No, the Prospect Pro 205 and Prospect Pro 208 use different cartridges. We do not stock the Lexmark 108 / 108XL ink cartridges which work in the Prospect Pro 208. This is why this particular printer model is not listed on our website. On an order for a Lemark Prospect Pro 205 printer, does it come with ink cartridges in black, cyan, magenta and yellow? Printers usually come with a set of starter cartridges included and the Prospect Pro 205 does use four separate cartridges in the colours you've specified.. However, as we do not sell printers we cannot be 100% certain that cartridges will be included in the bundle with the printer. I recommend contacting the retailer who is supplying you with this machine. I own a Lexmark Prospect SE Pro 208 All-in One printer (just one year old) and want an XL black cartridge. The only reference nunmber on my used cartridge is 108 XL. 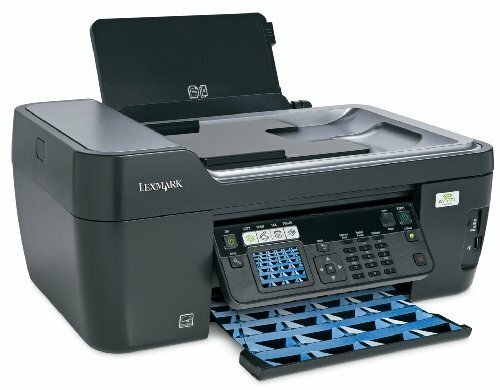 Do you stock this item or do the cartridges that you list for the Lexmark Prospect Pro 205 fit? Unfortunately, we do not currently stock the Lexmark 108 and 108XL cartridges and the items that we stock for the Lexmark Prospect Pro 205 are not compatible with your printer model. Looking for the very best rates for your ink? For outstanding discounted prices, plus much more, get all of your cartridges from Cartridge Save. We are specialists in offering you with discount Lexmark Prospect Pro 205 ink cartridges whilst making certain you enjoy our famous customer services. You can stop wasting hours researching who has the cheapest prices - the best prices are on our website. So start saving money and free time - place your order at Cartridge Save. You'll be assured of complete satisfaction if you order from us courtesy of our company's rock solid cashback scheme that comes as standard . Should you experience problems with your cartridge inside 30 days after purchase you can easily mail it to us for your total reimbursement. Additionally, everything comes with free next day delivery! The Lexmark Prospect Pro 205 is an all-in-one printer ideal for small companies. Aside from low initial costs, it boasts money-saving features such as large ink cartridges, EcoMode, duplexer, and automatic document feeder. It can copy, print, scan, and fax at fast speeds. Like other office printers, the Lexmark Prospect Pro 205's photo printing quality leaves a lot to be desired, though. A hardworking multifunction, the Lexmark Prospect Pro 205 measures 204 x 477 x 358 mm and weighs 7.98 kg. It has a flatbed scanner on top and a printer at the bottom. The control panel features a rather small 2.4 inch LCD display. Memory card slots and a USB slot are also provided. For connectivity, the Lexmark Prospect Pro 205 offers 2 options –Wi-Fi and USB – making it suitable for printer-sharing workgroups. It can scan business cards and synch the details to the address book software. This Lexmark Prospect Pro 205 helps reduce paper waste and saves time with the automatic duplexer and automatic document feeder. Though the monthly duty cycle of the Lexmark Prospect Pro 205 is high, the maximum media capacity is low (only 100 sheets). Another frustrating issue that plagues the Lexmark Prospect Pro 205 is that it stops working when one ink cartridge runs low.